You finally have quite an impressive email marketing campaign in place and are ready to launch it and wait for the results. Sounds easy enough and sounds like the results will be rewarding enough. Problem is that may not be the case. The issue could be that your email marketing campaign is great for everyone expect those who access it through a mobile device. This may not sound like much of an issue, until you consider the steady rise in those who are using mobile devices these days. Also, if you were to consider the amount of mobile device users who now take care of things such as email or accessing their social media networking sites such as Facebook. If an app doesn’t work correctly, a site isn’t user friendly on a mobile device or the email in your campaign isn’t compatible with a mobile device, it’s money and effort down the drain. Before you launch that new email marketing campaign, it is important then to test how your email will read on a mobile device. One key aspect is that the email itself is readable on a device like this. If so then the next most important aspect is to see how it comes through if it is meant to be interactive. 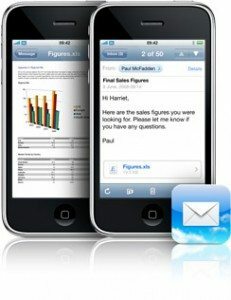 If you have a call to action in your email marketing campaign, you need to know it is actionable from a mobile device. What you should be aware of is that as much as 15% of people are reading the emails that make up your email marketing campaign by phone or mobile device. These same people are “processing” them out within a matter of two seconds. So why should you care about this percentage? One of the main reasons is that you could be losing 15% of your target audience right off the bat mainly due to poor design planning for your email marketing. Imagine if someone is even interested but skips it because the call to action doesn’t work for them. This is equally important to consider when it comes to lead nurturing as well. The most crucial thing to do is careful initial planning for your emails in a lead nurturing or email marketing campaign. From there, it is also important to test your email before sending it to your leads. This gives you the chance to fix glitches before releasing your campaign efforts. You have this option, so take advantage of it. Skipping this because you assume it works or you are eager to get the campaign rolling out could cost you valuable traffic or revenue. The best thing you can do is also try to make your design for clicks to be touch friendly, for all systems. Not only is this easier for you, but it makes it much more likely your call to action can and will be used immediately as long as your email is working correctly. Remember, when in doubt allow a professional to help with the design instead of using a DIY approach that doesn’t work on mobile devices. ← SEO: What Is Your Domain Authority?